Mouser Electronics, Inc., the industry’s leading New Product Introduction (NPI) distributor with the widest selection of semiconductors and electronic components, is now stocking the CY8CKIT-062-WiFi-BT PSoC 6 Pioneer Kit from Cypress Semiconductor. Ideal for the Internet of Things (IoT) applications and wearable devices, the PSoC 6 WiFi-BT Pioneer Kit enables the development of Wi-Fi applications using a high-performance Cypress PSoC 6 microcontroller. 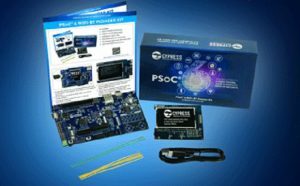 The Cypress PSoC 6 Wi-Fi-BT Pioneer Kit, available from Mouser Electronics, includes a PSoC 6 WiFi-BT Pioneer Board, TFT display shield, necessary jumper wires, and a USB cable. The Pioneer Board offers header footprints for compatibility with Arduino UNO shields and Digilent Pmod modules with operating voltages from 1.8V to 3.3V. The board also includes an onboard programmer and debugger with mass storage programming and custom applications support as well as 512 Mbits of NOR flash for expandable memory. The board’s five-segment slider, two buttons, and one proximity sensing header allow engineers to evaluate the latest generation of Cypress’ CapSense capacitive-sensing technology. The Pioneer Kit’s TFT display shield includes a 2.4-inch module, six-axis motion sensor, ambient light sensor IC, and PDM microphone for voice input. The Pioneer Board is based on a PSoC 62 microcontroller, coming soon to Mouser Electronics. 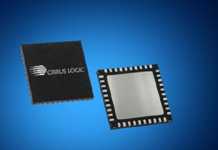 The device delivers ultra-low-power performance with the critical security features required for IoT applications, integrating an Arm Cortex-M4 core and Arm Cortex-M0+ core, 1 MByte of flash, 288 Kbytes of SRAM, and 104 general-purpose inputs and outputs (GPIO). Additionally, the board features a USB Type-C power delivery system, plus a Murata LBEE5KL1DX module — based on a Cypress CYW4343W Wi-Fi and Bluetooth combo chip — for 2.4-GHz WLAN and Bluetooth functionalities. The PSoC 6 microcontroller capitalizes on Cypress’ proprietary ultra-low-power 40-nm SONOS process technology, which enables industry-leading power consumption with 22 µA/MHz and 15 µA/MHz of active power on the Arm Cortex-M4 and Cortex-M0+ cores, respectively. 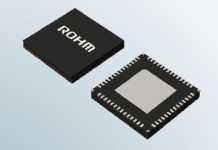 The powerful microcontroller also features software-defined analog and digital peripherals, multiple connectivity options and programmable analog-front-end (AFE) functions. For more information about the PSoC 6 WiFi-BT Pioneer Kit, visit mouser.com.